Is it too early to talk about a Zenfone 3 Zoom? Some markets like Germany are still waiting on their official release date, but for the most part things have settled down in terms of the Zenfone 3. At this point it’s a matter of units arriving in different countries and having pre orders fulfilled. In the next week or two the Zenfone 3 series should be widely available and in-stock around the globe. You could say logically that Asus has rolled out their complete Zenfone 3 line-up at this point. Right? We ask this out loud because with Asus you just never know. The line-up seems complete now but thinking back to last year, Asus did surprise with a late model release, the Zenfone Zoom (ZX551ML). Would they try again with an updated next generation Zoom phone? If you recall last year with the Zenfone 2 roll-out, Asus left a few tricks up their sleeve after the initial models were made available. 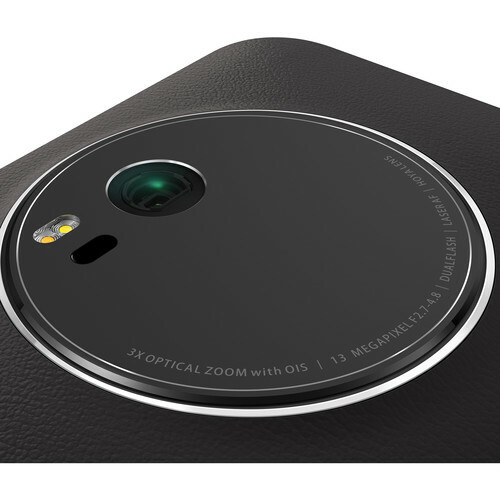 The Zenfone 2 was rolled out, but then was followed by the Zenfone 2 Selfie, Zenfone 2 Laser and lastly the Zenfone 2 Zoom. It was a steady parade of new Zenfone 2 models! We want to focus (no pun intended) on the Zenfone Zoom series. The Zenfone 2 Zoom (ZX551ML) was ground breaking regarding it’s camera. Asus really meant to push the limits on mobile phone photography. The big selling point was the 3x optical-zoom ability. Asus marketed the Zenfone 2 Zoom as being a “DSLR-level camera” with PC grade performance. The specs were top notch and it makes one wonder how a Zenfone 3 Zoom could outdo the already beastly Zenfone 3 Deluxe Special Edition (ZS570KL). The Zenfone 2 Zoom was a CES 2016 product. Asus took the wraps off it at that show and timing wise it might make sense for them to do the same this time at CES 2017. A unique Zenfone 3 Zoom release early in 2017 would help continue the Zenfone branding at a time when other companies are quiet and not releasing their new phones. A Zenfone 3 Zoom would be a niche product and it likely wouldn’t take away from the main Zenfone 3 models in any significant way. It would however boost Asus and their smartphone portfolio. It would be interesting to think about how Asus might better the first generation Zenfone Zoom. The display on the original model was 1920 x 1080 pixels as is the current Zenfone 3 Deluxe (ZS570KL). So would an even higher resolution make sense or would the detriment to battery life be a bad side effect? The processor in the original Zenfone Zoom was an Intel Atom Z3590 with a speed of 2.5GHz which is very impressive considering how the top end Snapdragon 821 is already. It’s doubtful that Asus can get a better processor currently than the Snapdragon 821 which is already found in the Zenfone 3 Deluxe Special Edition. RAM wise, the original Zoom had 4GB of RAM and having 6GB in a Zenfone 3 Zoom might makes sense, but it might also tip the price point too high. What is your feeling about a possible Zenfone 3 Zoom? Do you hope that Asus looks at releasing a new Zoom model?